Hi, I'm looking for a few titles for the scarce Radofin Video Game System. I don't care whether they are branded Radofin or any other of the compatible titles Radofin Acetronic Rowtron Hanimex. I don't care about condition or completeness as long as they work, thanks. Hi, I've been trying to find the Hobby Module cartridge for years with no luck. Bowling & Seawolf were never released & I just sold a copy of Backgammon on EBay for a fiver. Did you ever find a copy of the Hobby Module cartridge? I have every other cartridge for the Acetronic 2000 so your not the only collector. If anyone does have a Hobby Module cartridge or Crazy Crab for the Voltmace or Video master I would definitely like to trade. Was it confirmed that Sea Wolf and Bowling were never released? I thought I saw them in a game catalog at one point. Basically I need a Hobby Module and Backgammon if you know anyone. Considering how many markets around the world these systems were released, I think Hobby Module might be up there with some of the rarest titles. I have never even seen a Backgammon. 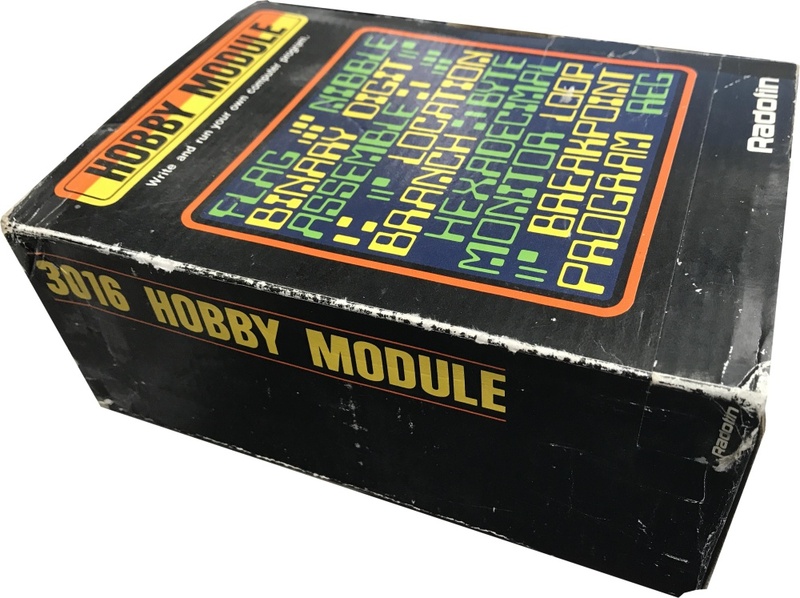 The Hobby module is the thing of legends, I think I had it in my saved searched on Ebay for at least 10 years now. Hi, Seawolf & Bowling made the catalogue but never went into production. This was confirmed on a site a few years back, cant remember the site name now. If I had found this site a week earlier I would gladly have traded Backgammon with you, sorry. Hobby Module came up on Ebay Austrailia about 18 months ago & I bid £40 but the seller ended up withdrawing the auction, this was for a cartridge & overlays only version. Yea these are non-existent in the USA. If you come across another I'll trade or buy. Seem to be finds in the UK and Aust. LOL well thanks to all that told me about this when it was ending, I'm going to now go kill myself. It was ending 4AM USA time so I missed it. This is the first I have ever seen for sale in 10 years. LOL it is for sale?!?! Funny thing is I agreed a price then the seller tried to get out of it at the last moment as someone else offered 100's apparently. It also has its own power supply so you can use it on a 1292 as well as a 1392. The post three above, the ebay listing, is the one I missed out on. I went up to £200 then gave up. If I can work out how to post a picture i will upload a couple.